Defraggler comes from the same stable that has given us free software of the pedigree of CCleaner, software publishers Piriform. Defraggler is an easy-to-use, small (4MB) and portable utility that is a good replacement for Windows’ built-in defragmentation utility. The company behind this software claims that it uses the same defragmentation algorithm as the Windows’ default utility does, so it is completely safe. But one may wonder, why must I use this when it is no different? The reason is the three precious features that Defraggler provides: It allows you to selectively defragment files and folders. This is a boon, as you can defragment the files/folders you use often, more frequently. 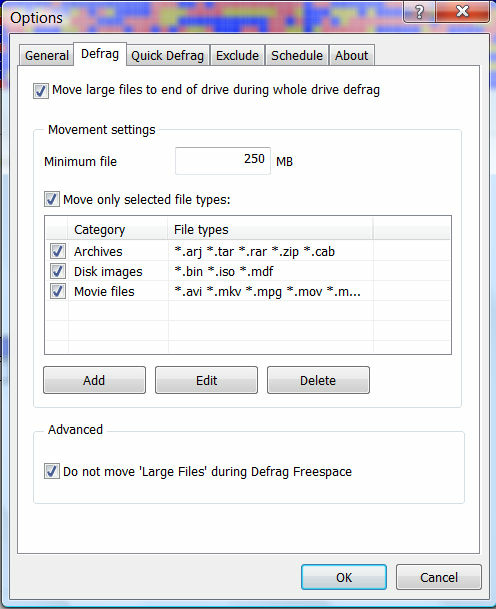 Secondly, the tiny Defraggler provides the ‘quick defrag’ option, which reduces the lengthy defragmentation process by selectively defragging files. 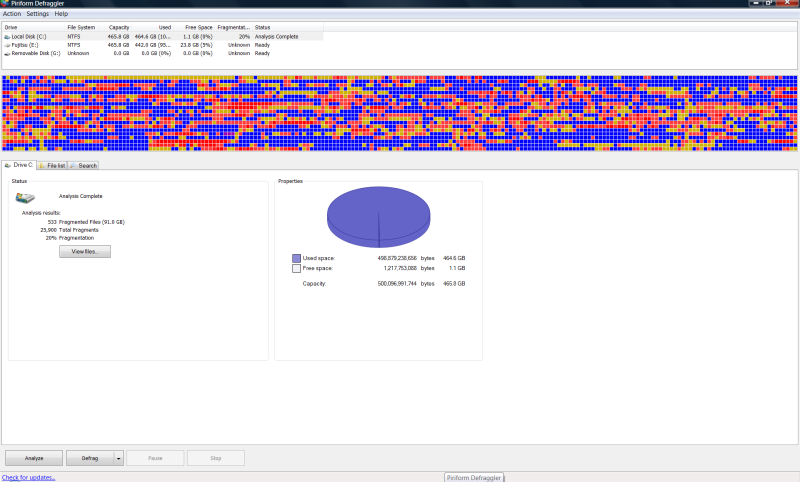 Thirdly, unlike the Windows’ utility, Defraggler allows you to pause the defragmentation midway, which is very useful, since the process is often lengthy. It also provides the ability to tweak the settings of the defragmentation or quick defrag process, where you can selectively defragment the files of a certain size or type. The utility also allows you to defrag free space! This ensures that any new files further added on the drive are not fragmented. You can also schedule defragmentation to take place at a fixed daily/weekly/monthly time. It is impractical to provide the test times of defragmentation here, as it is dependent on N number of factors, from disk’s speed and size, to amount of fragmentation. Although the process is slow (especially when defragmenting for the first time), the option to pause when Defraggler is doing it is diamond. You can download Defraggler here. You can download other fragg-a-licious (whatever that means!) Download of the Day software here.